Being George Washington | What Would The Founders Think? Glenn Beck's recent book on Washington is not a biography, a political rant, or even a history. Instead it is book designed to show the difference one man of character can make. It is a challenge to all Americans to be people of character. George Washington is my hero. This book explains why. Washington led an exemplary life. It is not that he was perfect, or that he has not been the subject of myth. However, anyone who seriously examines the details of Washington’s life will find that, more often than not, even the myths are based in truth. Being George Washington is organized around a few of the major events in Washington’s life. For me, it is a bittersweet reminder of how little the man is appreciated today. Unfortunately, most Americans know almost nothing about the man to whom they, and millions around the world, owe so much. Gilbert Stuart’s famous painting of Washington (on the dollar bill) does not reflect the man he was. By the time Stuart did that painting, Washington was a shadow of his younger self. It does not reflect his character, instead the world sees a doughy-faced guy in a wig. To me, this is very sad. Being George Washington paints a different kind of picture. Like Ben Franklin, Washington put a great deal of effort into his character. There is no better example in American history of why character counts. .. when taken together, these often ordinary watchwords fashioned an extraordinary mosaic that spoke of consideration toward others and modesty regarding self. Washington zealously guarded his reputation, but at the same time, he repeatedly put the needs of his country, before his own. Putting others before self is humility. Washington demonstrated humility time and time again throughout his life in both his words and deeds. 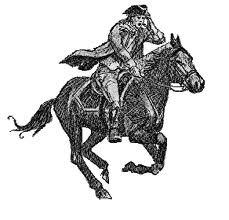 When asked to lead the Continental Army, he admitted his fears of being unequal to the task. Mr. President, Tho’ I am truly sensible of the high Honour done me, in this Appointment, yet I feel great distress, from a consciousness that my abilities and military experience may not be equal to the extensive and important Trust: However, as the Congress desire it, I will enter upon the momentous duty, and exert every power I possess in their service, and for support of the glorious cause. I beg they will accept my most cordial thanks for this distinguished testimony of their approbation. As to pay, Sir, I beg leave to assure the Congress, that, as no pecuniary consideration could have tempted me to have accepted this arduous employment, at the expence of my domestic ease and happiness, I do not wish to make any proffit from it. I will keep an exact Account of my expences. Those, I doubt not, they will discharge, and that is all I desire. Washington spent the next 8 years suffering for his decision, but ultimately triumphed over the most powerful nation on the planet – with a ragtag army of volunteers. Being George Washington covers not just the events, but also delves into their significance and asks what might have happened had Washington not been who he was. The most powerful illustration of this is in the chapters covering the Newburgh Conspiracy. From a military standpoint the war was over. However, the fate of the new nation was literally in Washington’s hands. Many of the officers and men in the Continental Army had not been paid in years. Promises were perpetually broken and desperate and destitute men who had sacrificed and risked their lives for their country had had enough. A year earlier, one of Washington’s men, Colonel Nicola expressed the men’s feelings in a letter, in which he asked Washington to assume the role of monarch. The injuries the troops have received in their pecuniary rights have been, and still continue to be too obvious to require a particular detail, or to have escaped your Excellencies [sic] notice. This gives us a dismal prospect for the time to come, and much reason to fear the future provision promised to officers by Congress. We who have born [sic] the heat and labour of the day will be forgot and neglected by such as reap the benefits without suffering any of the hardships. We have no doubt of Congresses [sic] intention to act uprightly, but greatly fear that, by the interested voices of others, there abilities will not be equal to the task. Colonel Nicola ends this justification by suggesting that perhaps monarchies aren’t so bad after all. Some people have connected the ideas of tyranny and monarchy as to find it very difficult to separate them, it may therefore, be requisite to give the head of such a constitution as I propose, some title more moderate, but if all other things were once adjusted I believe strong argument might be produced for admitting the title of king, which I conceive would be attended with some material advantages. For perhaps the very first time, George Washington felt completely alone. He had always been able to count on the support of his men, the devotion of his staff, and the dedication of this army. Through the very worst of times, and from the loneliest of days, from the lowliest private to this senior generals, his men had always stood at his side. But now they did not stand with him; they stood against him. And that cut to the core. In the end, it would come down to the faith his men had in Washington’s character and reputation. Neither good character nor good reputation are attained over night. Fortunately for millions of Americans and countless millions more around the world, Washington had dedicated his life to perfecting his character and reputation. He was the one man to whom the angry troops would listen. And listen they did. It was not Washington’s appeal to their patriotism, or his reiteration of broken promises that held sway. It was his simple humility in admitting that he now needed glasses to read yet another promise made by a member of Congress. Gentlemen, you will permit me to put on my spectacles, I have not only grown gray but almost blind in the service to my country. These words, spoken by almost any other man, might have been dismissed as so much stuff. But these men had seen, first hand, the toll that the prior 8 years had wrought from their General. And with that, the crisis was averted. They could not go against him. Beck’s analysis of this event is very insightful. The unbiased march of time has proven the Newburgh Conspiracy to be one of the most important episodes of the entire American Revolution. In fact, many historians recognize it as one of the most, if not the most, dangerous hour the United States has ever faced. Had General Washington failed to pacify his angry army, and his men gone forward with venting their rage upon the Congress, the nation may well have drowned in the blood of a civil war. What would the next two centuries have been like had the United States not been the united states. How different would our world be right now, how different would it have been for our ancestors, how different for our children, had the country — free from the oppression of a foreign king — turned to a monarchy of its own? These may seem like rhetorical questions, but they’re not; they’re vital ones because they force us to think about the fact that one person at one moment in time can define history for generations to come. And this is the point of Being George Washington. It’s not a book written to convey history. It’s not even a biographical hagiography of its subject. Being George Washington was written to show the difference character makes, and to illustrate, by example, how to live a life of integrity, dignity and worth. Beck and his team are to be commended for an excellent book. Thanks for your review. I will go through the portal to Amazon to buy the book.